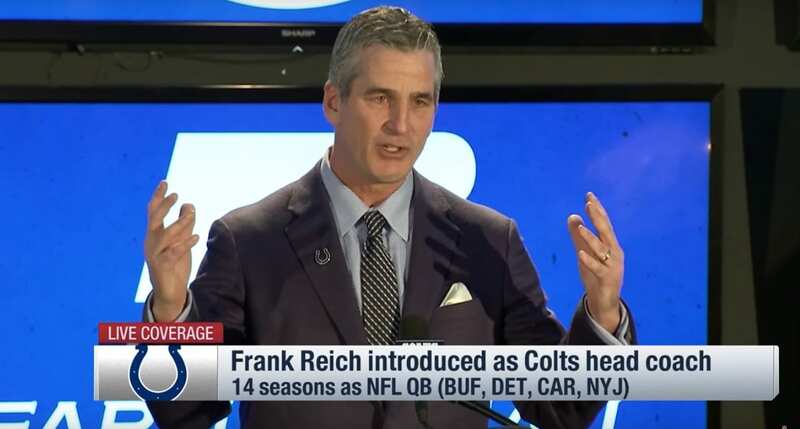 This fall, former pastor, seminary president, and NFL star Frank Reich started his first season as the head coach for the Indianapolis Colts. Along with fans, Reich is just as surprised by the unexpected trajectory of his career. Though it’s certainly not the first time the former Reformed Theological Seminary (RTS) president’s path has taken an unexpected turn. Reich first got his start at the University of Maryland on a football scholarship where he finally had his chance to start in 1984, following the graduation of All-American quarterback Boomer Esiason. Only a month in, he suffered a severe shoulder injury that put him on the bench. Unfortunately, Reich’s replacement played so well that the coach informed him three weeks later he would not be getting his spot back. So he diligently worked on restructuring his priorities and putting God as the first love of his life. Just a few weeks later, he was pulled from the bench at halftime against the Miami Hurricanes, with the Terrapins down 31-0. He led his team to a 42-40 victory over the next two quarters. For 22 years, it remained the greatest comeback victory in the history of college football. Reich was a third-round pick by the Buffalo Bills the following year, and as he made his way into the NFL, his faith in Jesus followed. He continued to play in the NFL for 14 seasons, with his most memorable moment being orchestrating the greatest comeback in postseason history when the Bills came back 32 points to beat the Houston Oilers 41-38. After his days of football were over, Reich decided to go to seminary school, and in 2006, he took on the role as pastor of Covenant Presbyterian Church in Charlotte, North Carolina and he became president of the RTS. Along with his friend Peyton Manning, he’s also quite certain that God doesn’t have a favorite football team nor a vested interest in who wins. But he soon found out, his time in the NFL wasn’t finished just yet. It seemed pastoring wasn’t his lifelong calling. And it turns out, his “sphere of influence” was football. Reich took his first job as an NFL coach with the Indianapolis Colts in 2009, and he coached Peyton Manning as quarterback. He then became the Arizona Cardinal’s wide receivers coach in 2012 and moved on to the San Diego Chargers in 2013. 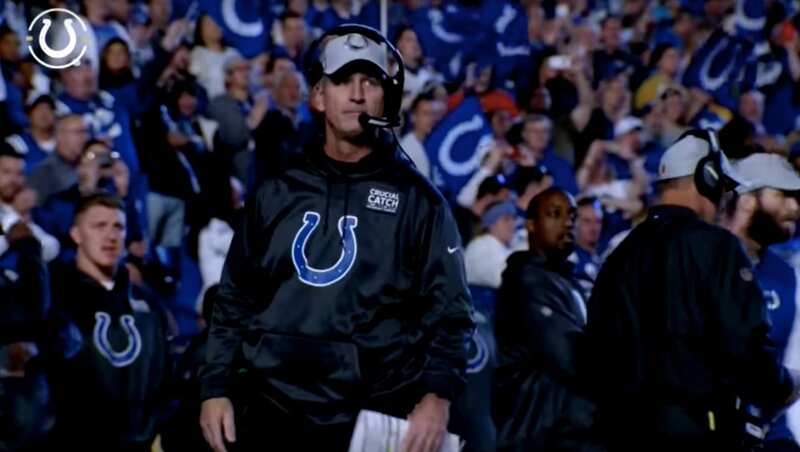 After transferring to the Philadelphia Eagles in 2016 and leading them to their first Super Bowl championship, Reich made his rounds back to his coaching roots in landing the Colts head coaching job in 2018. Backed by 26 years of NFL experience and an unshakable faith in Christ, the Colts couldn’t be more excited to have Reich leading them into the playoffs against the Texans this Saturday.